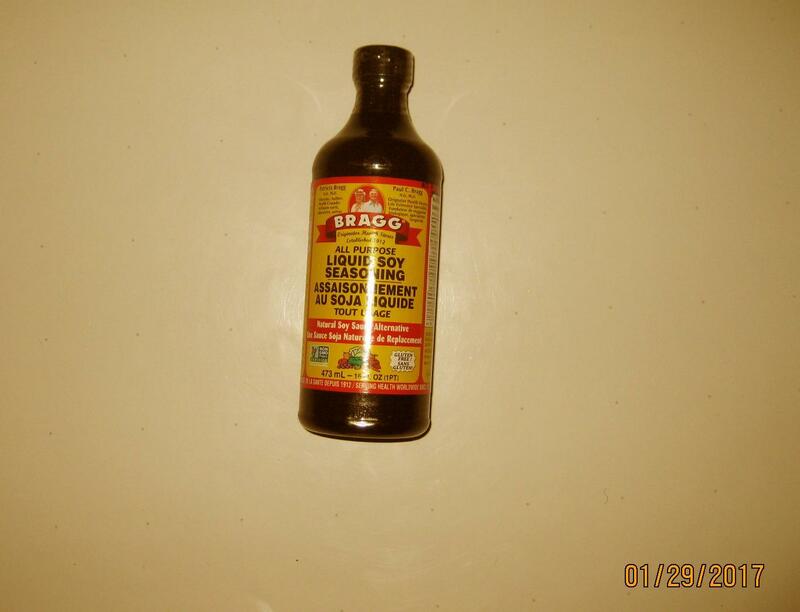 New Bragg All Purpose Liquid Soy Seasoning 16 Fl. 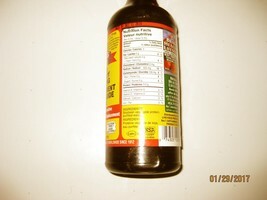 Oz Bragg All Purpose Liquid Soy Seasoning is a Certified NON-GMO liquid protein concentrate derived from soybeans that contains the following Essential and Non-essential Amino Acids in naturally occurring amounts Alanine Arginine Aspartic Acid Glutamic Acid Glycine Histidine Isoleucine Leucine Methionine Phenylalanine Proline Serine Threonine Tyrosine Valine Lysine Bragg Liquid Aminos is a Certified NON-GMO liquid protein concentrate derived from soybeans that contains the following Essential and Non-essential Amino Acids in naturally occurring amounts Alanine Arginine Aspartic Acid Glutamic Acid Glycine Histidine Isoleucine Leucine Methionine Phenylalanine Proline Serine Threonine Tyrosine Valine Lysine Great on Salads Dressings Soups Veggies Rice Beans Tofu Wok Stir-frys Tempeh Casseroles Potatoes Meats Poultry Fish Jerky Popcorn Gravies Sauces Macrobiotics. 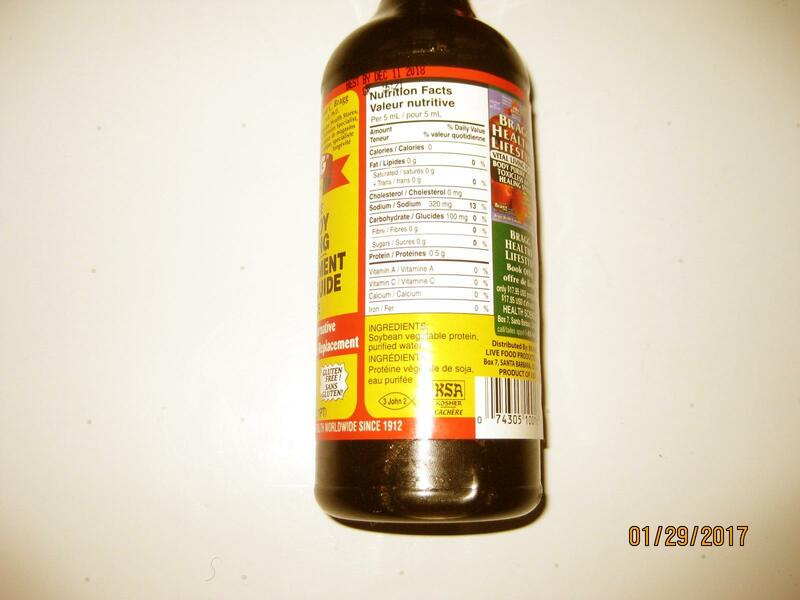 Ingredients Our Bragg Liquid Aminos are made from health-giv Please Feel Free to ask any questions before purchase, and don't forget to look at my other items for sale. Thank You And don't forget:I run the Fastest Ship in the West. Pay Today;Gone Tomorrow! And don't forget:I run the Fastest Ship in the West. Pay Today;Gone Tomorrow! Please Feel Free to ask any questions before purchase.